Have you noticed the western red cedars in your neighborhood showing lots of brown fronds lately? In most cases, these trees are not really suffering from some horrible tree disease or pest but simply shedding their old foliage. 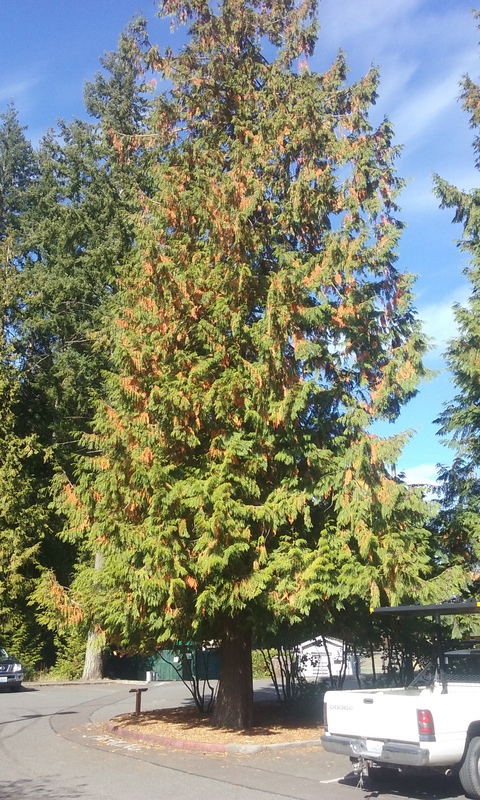 This annual phenomenon is called “cedar flagging” and is much more noticeable this fall due to our prolonged summer drought. Cedar flagging. Photo by Dave Pehling. Most of the dead “flags” will be blown off with our first good wind storm and the trees will look as healthy as ever. 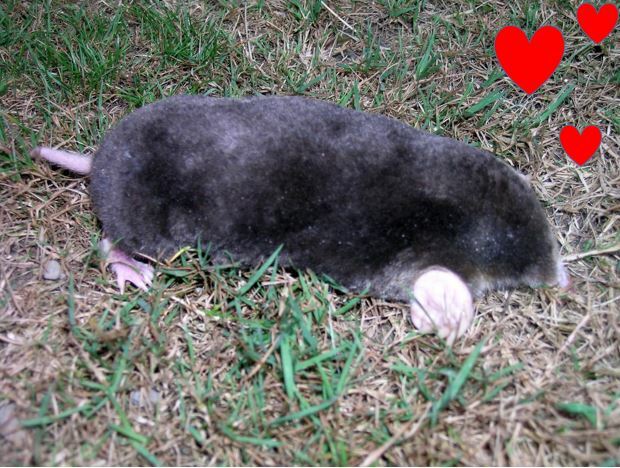 Our common Pacific and Townsend’s moles put aside their solitary ways at this time of year – and begin thinking about love. Have you noticed a surge in mole hills in your yard? 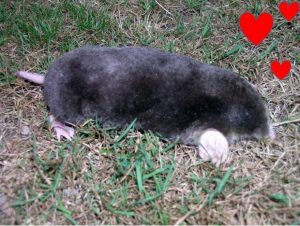 Male moles expand their tunnels to look for “girl friends”. Particularly ambitious males could make as many as 302 mole hills in just 77 days! Since passage of an anti-trapping bill in 2000, legally managing moles in home yards and gardens has become very difficult. However, you can read about your legal options in the WSU Fact Sheet, “Mole Management in Washington Backyards”. 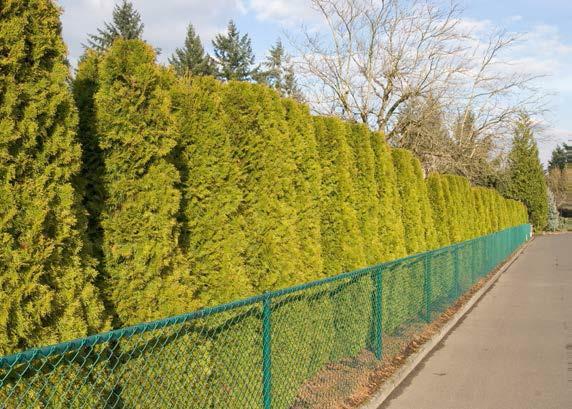 It is important to plan the layout of a screen or hedge before installation. Once trees or shrubs are planted and begin growing, it can be difficult to make changes. Factors to consider include the available space on the property; whether it will be a formal or informal design; the need for deciduous or evergreen plants; the aesthetics of plant texture; and, in areas prone to wildfire, the need for defensible space. One of the biggest design mistakes made is planting species that are too large for the designated area. I didn’t get my spring bulbs planted yet. Is it too late? 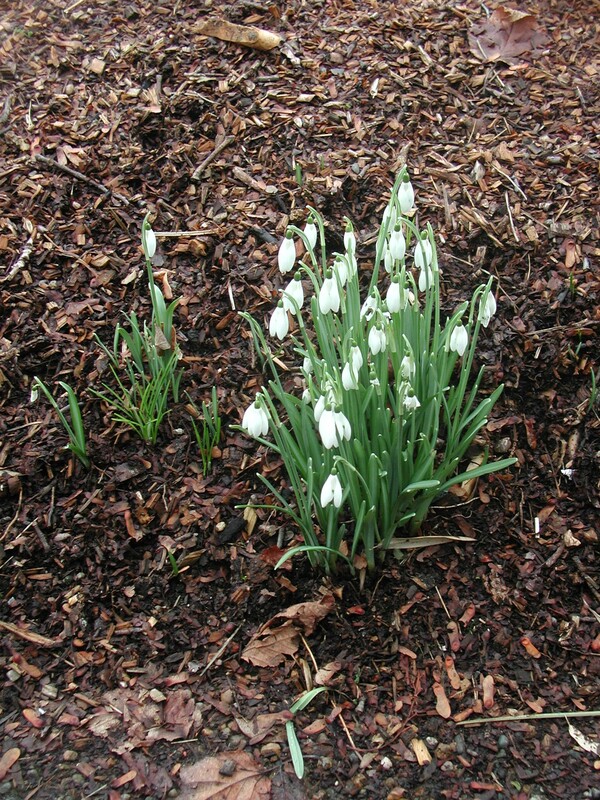 Ideally, spring bulbs need to be planted in early November or before the first hard frost in your area. 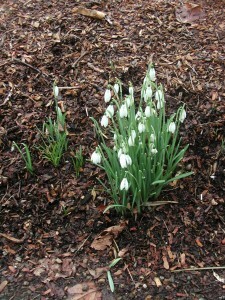 However, bulbs are also very forgiving and may still bloom even when put into the ground as late as early March. 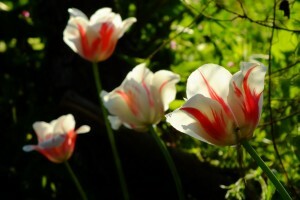 Bulbs grow and bloom the best when planted in an area that receives direct sunlight and adequate moisture. They can be planted in groupings (3 or more) or in a straight line depending on available space in your planting location. It is a good idea to think about the height of the bulbs, not just the color, if you are planting several different types in the same area in order to create a pleasing display. 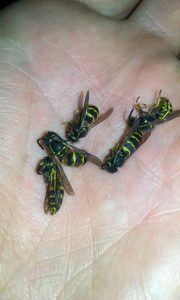 Horticultural oils are non-specific so if beneficial insects get sprayed, they will die along with the insect pest. Only spray plants with confirmed pest problems in order to conserve the beneficial insects in your garden and landscape. 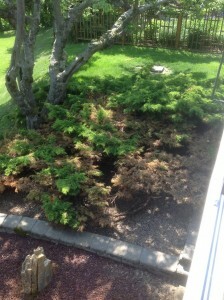 Be aware that junipers and spruce often lose their blue color when oil is applied. Oil and water do not mix: horticultural oil will inhibit oxygen transfer, which can kill fish. Keep applications and their airborne oil drift out of waterways. For information on how to use horticultural oils successfully, see the WSU Extension fact sheet Pesticide Ingredient: Horticultural Oil. Do cedar mulches kill other plants? Many living, growing woody plants contain allelopathic chemicals, which can prevent seeds from germinating or kill young seedlings. Most compounds have no effect upon established plants. Cedars (Thuja spp.) have not been found to have this ability. Even Juglans nigra (black walnut), the best known allelopathic species, has not been shown to have negative effects when wood chips are used as a mulch. 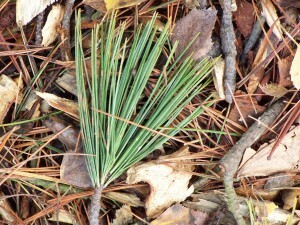 Wood chip mulches are beneficial to established plants. 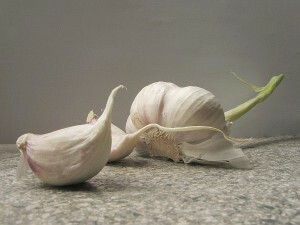 In the Northwest, garlic is planted as cloves in the fall. Garlic requires full sun (at least 6 hours per day). It is best started by direct sowing seed garlic that can be purchased through some garden centers, catalogs, and online websites. Certified seed garlic has been grown specifically for planting in the garden and is free of insects and diseases. Plant garlic in early to mid-fall (September to October) in eastern Washington gardens and late fall (November) in western Washington gardens. To prepare the planting area, loosen the soil to improve drainage. Plant large cloves that are clean and dry and plant them the same day the bulb is broken apart. Cloves showing any discoloration, stippling, or bruising should be discarded. Plant the cloves so that the tops are 2 inches below the soil line, and place the garlic clove flat-side down and pointed-side up in the hole. Garlic should be planted 4–6 inches apart in rows that are spaced 12–24 inches apart. For more information on growing garlic, see Growing Garlic in Home Gardens. 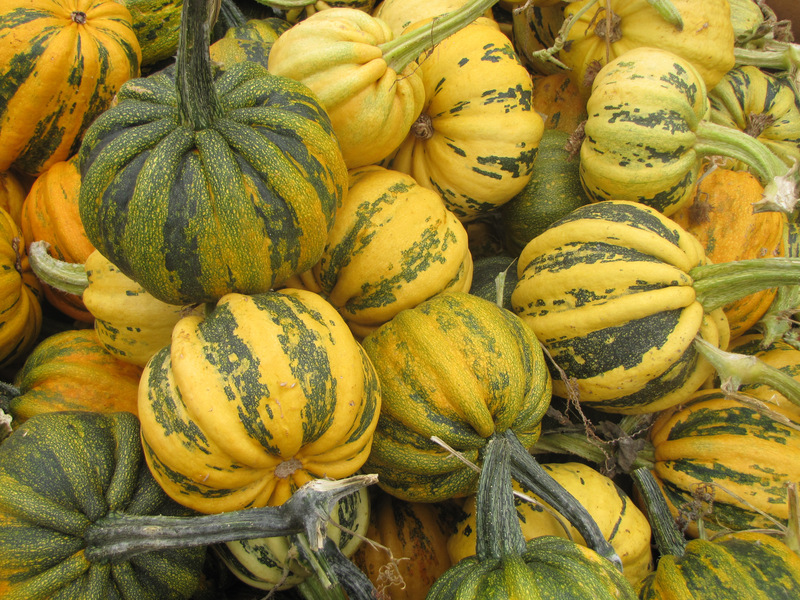 Winter squashes are harvested fully mature when the skins feel hard and waxy. In autumn, there is no hurry to harvest winter squashes unless excessively cold or wet weather is approaching. 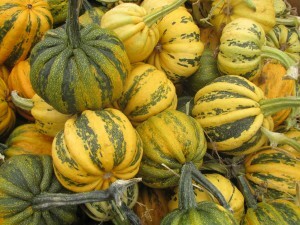 Pick winter squashes with stems attached. Cure in a warm, dry place and store at room temperature. Under these conditions, winter squashes store between 3 to 5 months. After the final harvest, be sure to remove and destroy the leftover plant debris. Alternatively, turning under the remaining plant material into the garden soil can help replenish nutrients and contribute to the organic content of the soil. Will woody mulch acidify my soils? In field situations it is difficult to significantly alter soil pH without the addition of chemicals. Temporary changes in pH may be found in the decomposing mulch layer itself, but these have little effect on underlying soils. Significant changes in soil pH can only occur after decades or centuries of mulch use. 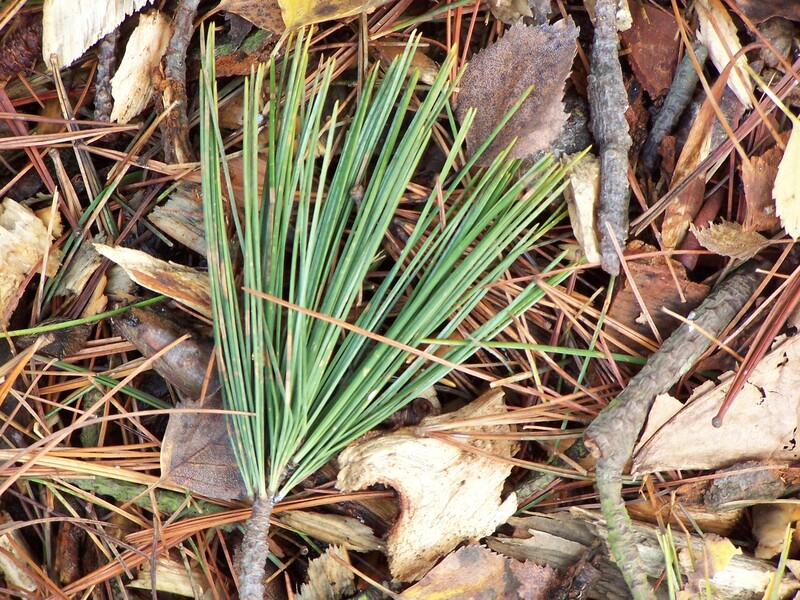 For more information on wood chip mulches, see “Using Arborist Wood Chips As a Landscape Mulch” WSU Extension Fact Sheet FS160E .